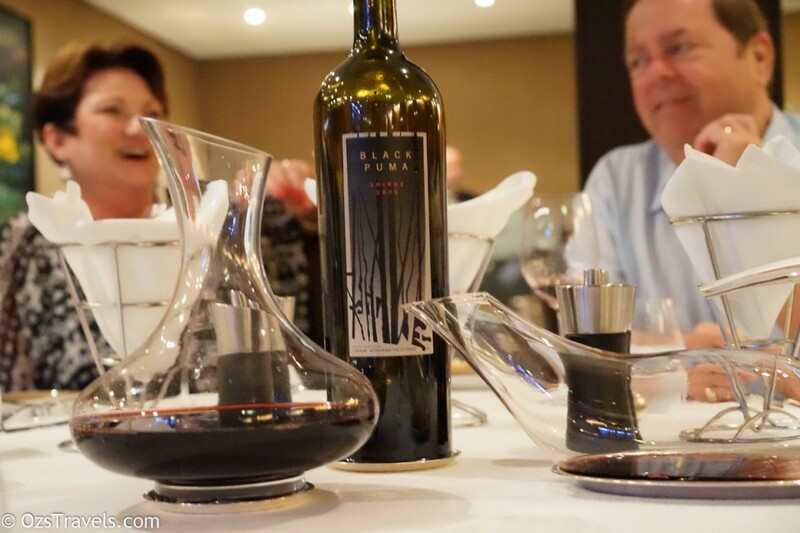 Some of the best things about travelling, especially on cruise ships, is meeting people from all over the world, making great friends and sharing a meal or three with a couple of good wines. 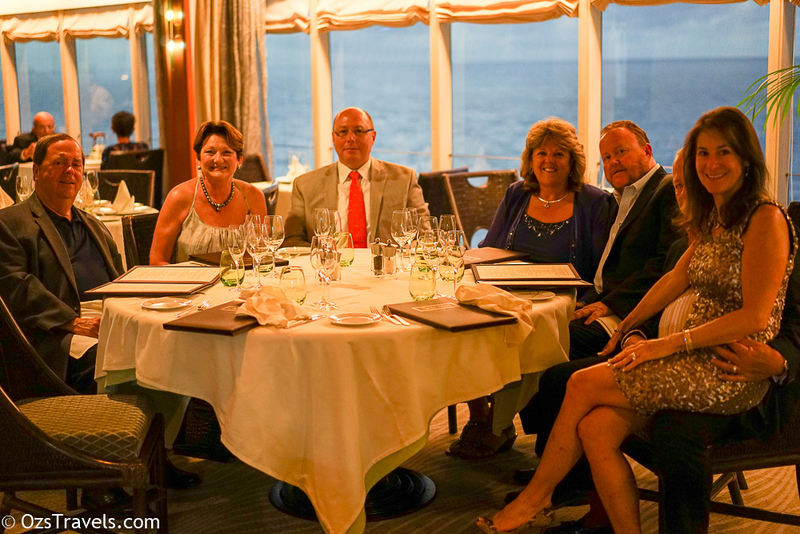 On this cruise I made more friends than usual, which was great, it also meant more dinners, wine and a lot of laughs. 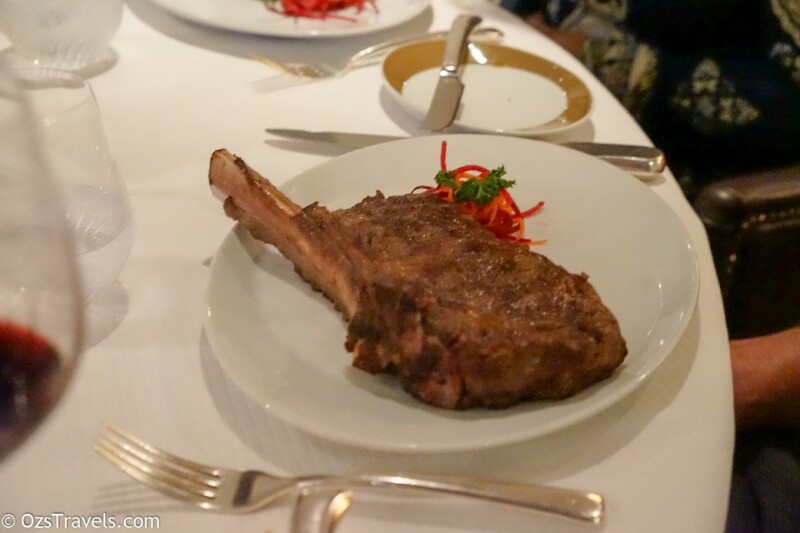 The most difficult decision to make on board the Mariner is which restaurant for dinner. 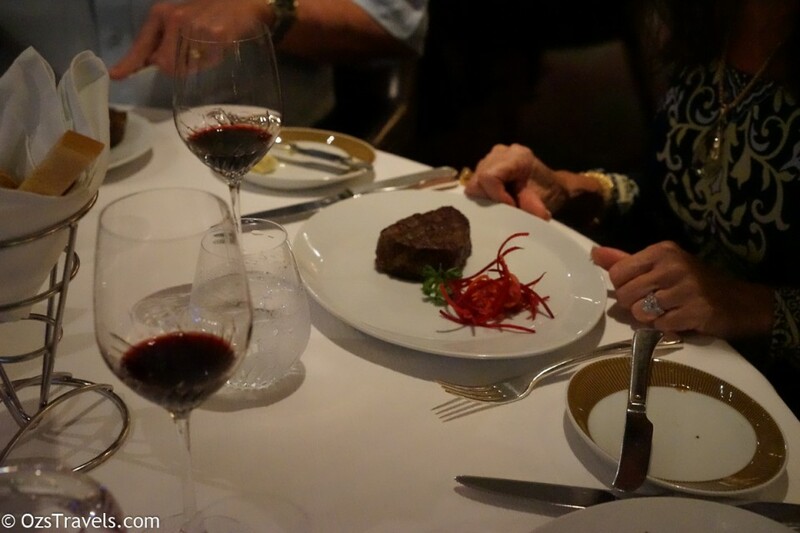 There are four restaurants on the Mariner, Compass Rose (the Main Dinning Room), La Veranda (Italian which becomes Sette Marie at night), Prime 7 (Steak) and Signatures (French). 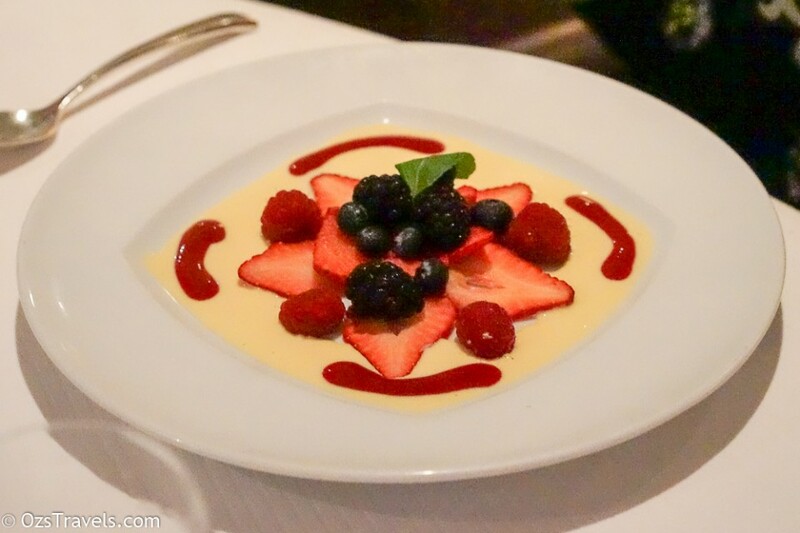 Prime 7 and Signatures are only open for dinner, the other two restaurants are open for Breakfast, Lunch and Dinner. 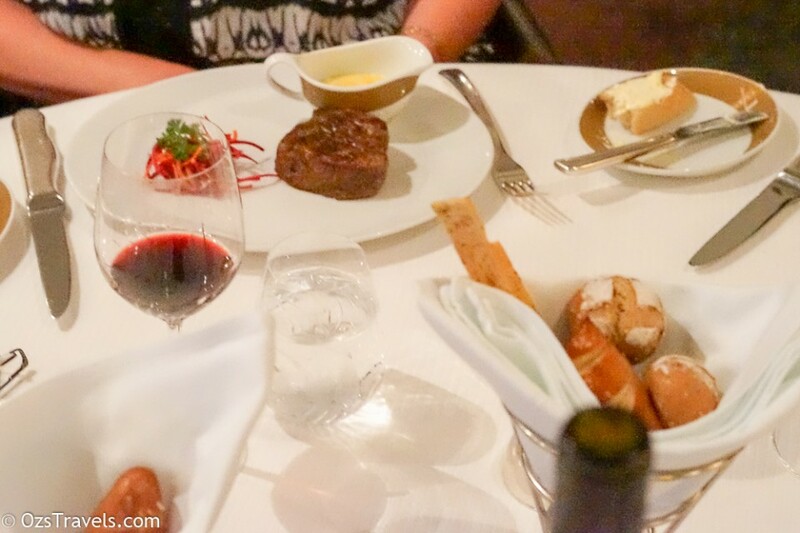 For dinner we tried to alternate between the four restaurants, Prime 7 and Signatures require booking but the other two have free seating, over the 16 nights on board we lucky enough to not dine in the same restaurant two nights in a row. Our dinner group was usually 7, which made it a little more difficult to get tables, but with a little planning and dining a bit later we were usually able to get a table when and where we wanted. 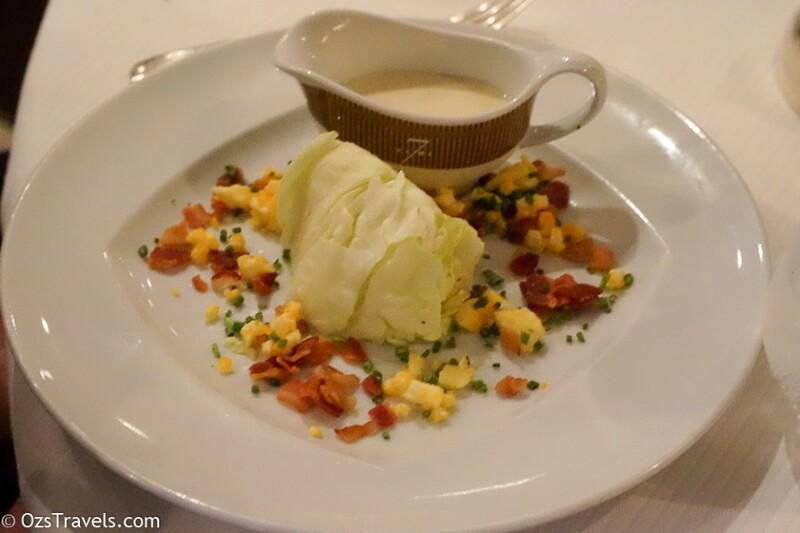 The food in all of the restaurants is usually very good to excellent, I had only one bad course on this cruise and that was more to do with what I chose as it was a dish that I would probably not enjoy at any time instead of how it was prepared, which, considering the limitations associated with being on a ship, is a fairly amazing feat that the culinary team on board should be commended for. Dinner in Prime 7 is usually a lot of fun, even more so when there is a big group. On this night we also had a magnum of 2005 Warrenmang Black Puma Shiraz that I brought with me from Singapore, which made it even more so. I enjoy introducing people to Australian Wine, especially to people who have not had the opportunity to try some of our better wines previously. 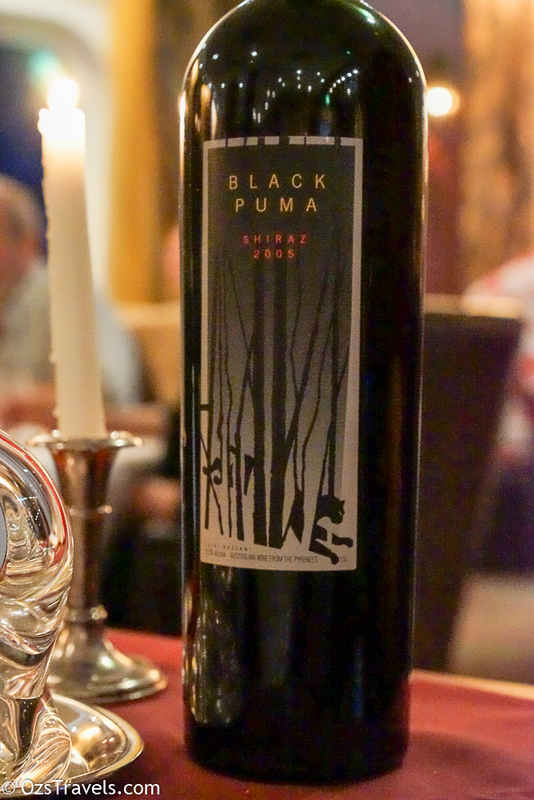 The Black Puma is one of my favourite wines, so getting to share it with friends and watching their reactions to it was great, as they all enjoyed it and the wine-os in the group were impressed by the aroma, colour and finish of the wine. Whilst the wine is 10 years old, it still had the deep red colour, black pepper and plum aromas of its youth (in part thanks to the magnum format, but also because it is a great wine). When I got to the fun bit of drinking it I was even more impressed by the structure and balance of the wine, with a great finish. A shame that it is my last bottle as I am sure it has many years left to mature and develop further, will have to grab a couple more (luckily I know a guy). 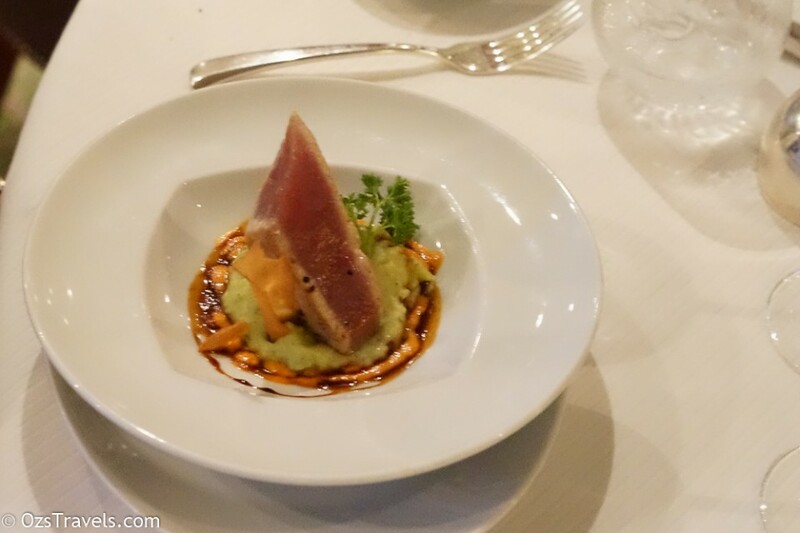 Enough about the wine (well not really), we had a mix of dishes between us, including for entrée seared Tuna and Caesar Salad Prime 7 style, I had the Tuna and it was excellent. For the mains most of us had steak, I had the Rib-Eye on the bone, medium rare, a nice cut and cooked the way I like it. 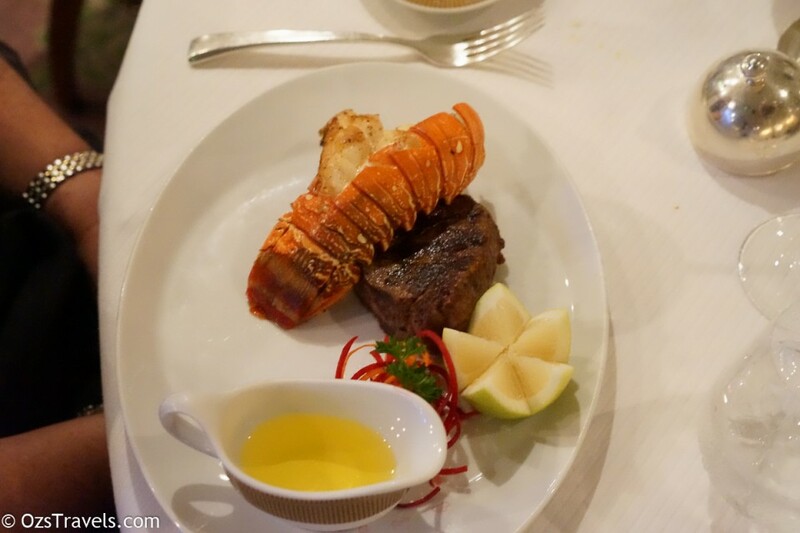 I think it was Anne who had the Surf and Turf, lobster tail and steak, looked great! One thing I do find a little surprising is the look of people’s faces when I ask for hot mustard, apparently it is not a common accompaniment with steak. 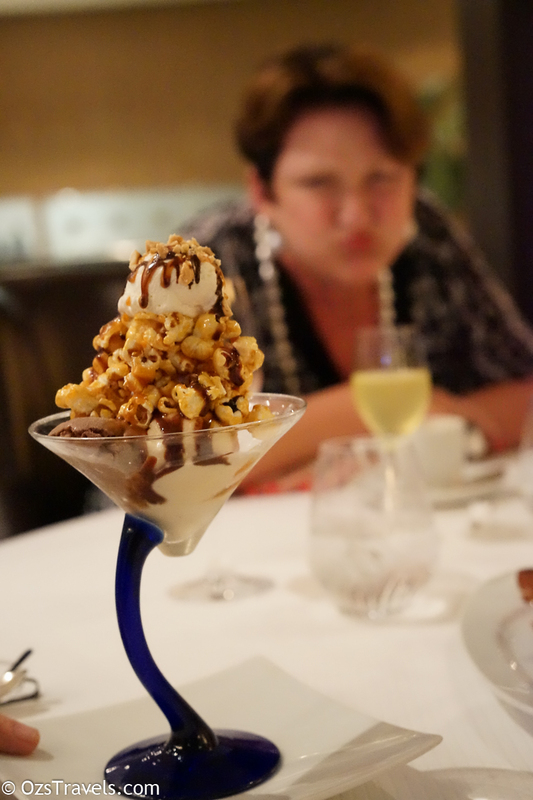 The desserts in Prime 7 were, in my opinion, the best on board, especially the popcorn ice-cream!! Next up dinner with the Pirate!